Product prices and availability are accurate as of 2019-04-17 10:10:01 UTC and are subject to change. Any price and availability information displayed on http://www.amazon.com/ at the time of purchase will apply to the purchase of this product. New R410A Ductless Mini Split Systems are usually equipped with a different charging port size to avoid charging of wrong refrigerant into the system (i.e. R22). 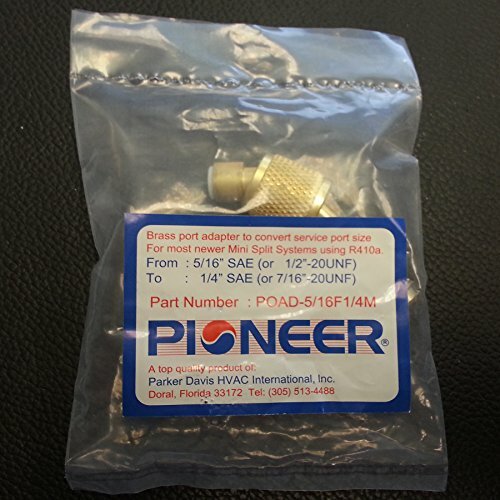 This new port size is 5/16" SAE and some gauge sets carry 1/4" SAE connectors. 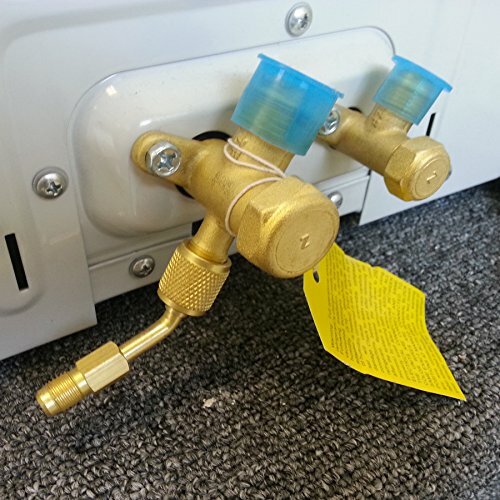 Port adapter converts the 5/16" SAE ports to use with 1/4" SAE gauge sets.